Stevenson Taekwon-do is a Martial Arts School offering Tae Kwon Do classes in Stevenson, WA for kids, men and women. 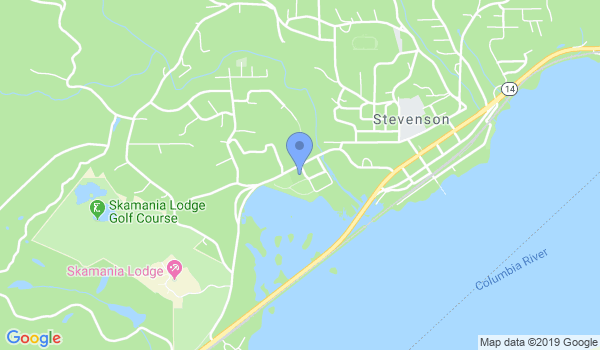 Stevenson Taekwon-do is Located at 710 SW Rock Creek Dr.
View a Location Map, get Directions, Contact Stevenson Taekwon-do or view program details below. If you are a student at this school, help your local Martial Arts Community by writing a Review of Stevenson Taekwon-do. You can also help your school by sharing it on Facebook, Twitter, Google+, Pinterest etc. Beginner classes for 4 year olds and up! Adult classes 12 years old and up. Membership trial is free until the beginning of first of following month. Family members get special discount. Any references that you bring and sign up will get you a discount. No need for uniform first few classes, once you do need one you can either purchase one through studio or purchase your own. The color white is only requirement. Would you like more information on hours, classes and programs available at Stevenson Taekwon-do? Please contact the school with your questions. Update the details, Write a Review or Report Error of Stevenson Taekwon-do. View all Dojo in Stevenson or in Zip code 98648. This Chart shows the Martial Arts Styles offered most in Stevenson, Washington area. View a list of Dojo in Stevenson, or enter your address below to find schools closest to you.